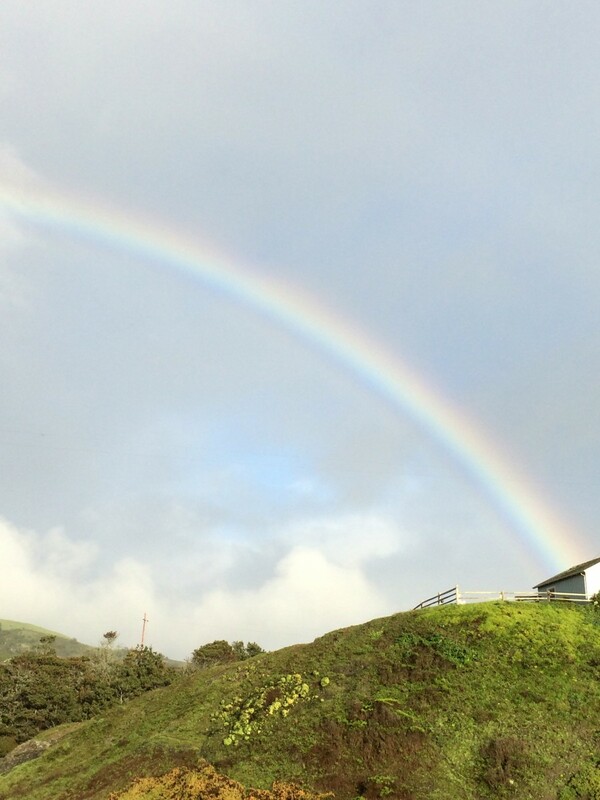 It is the time to shout our praise and to share our joy for rain and spring. Our gardens are singing their happiness too and everywhere it is green and some of us are getting out our hoes (the weeds are more than glad for the moisture). The parade of flowers is coming. Hoesanna! We had two wonderful visitors to our garden at the beginning of this month who have been traveling around making a “pay what you want” online film about natural farming inspired by the late the late Masanobu Fukuoka and his most famous book One Straw Revolution. Their beautiful movie “Final Straw food earth happiness” which you can download here even if you have zero money inspires one not to pull out the hoe and live instead with the weeds and to live and be in nature, not to fight it or try to improve it. In any case, the greenhouse is filled with seedlings that we have been giving away in the garden and at the Free Farm Stand. And we sing our gratefulness to the harvests. 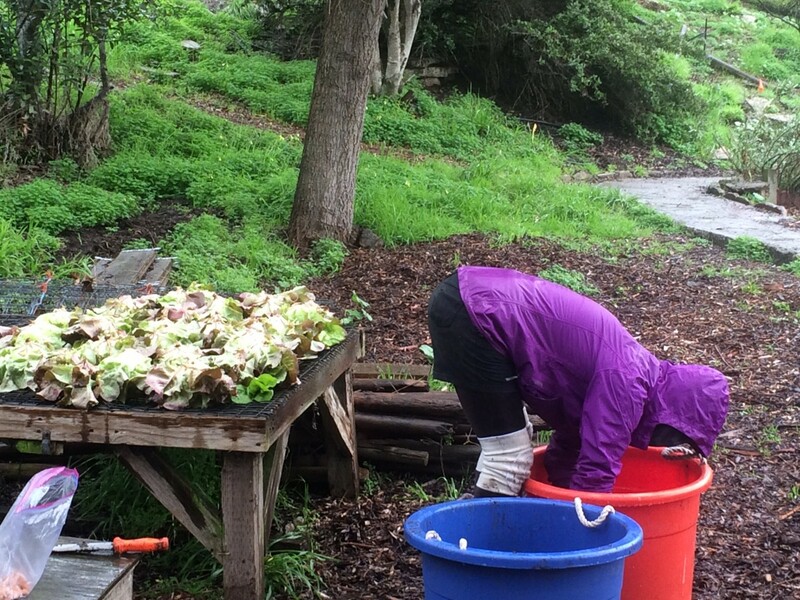 Despite the rain, every week we have been bringing from Alemany Farm hundreds of pounds of freshly picked food, mostly greens, including rainbow chard, turnip greens, kale, mustard, fava bean leaves, and collards to the Free Farm Stand. This week at the we had a special joy. 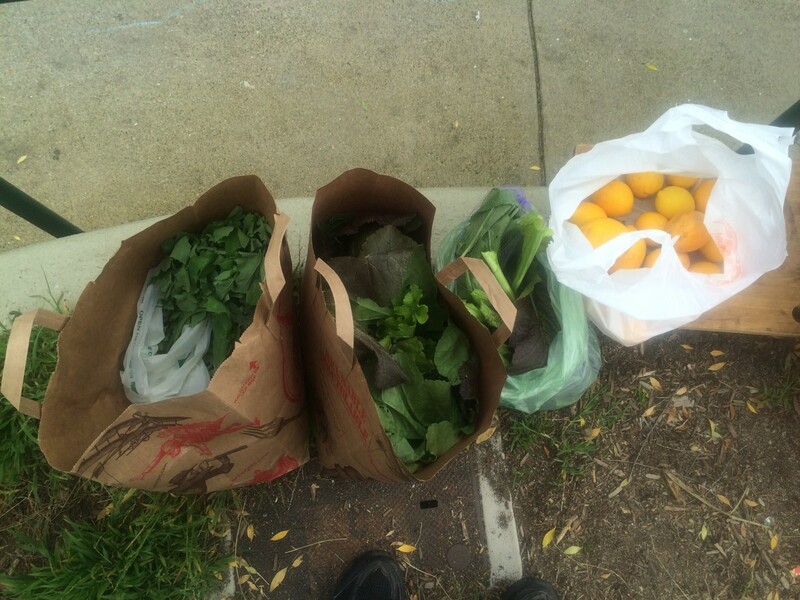 We had two neighbors bring some extra produce from their gardens. One of the gardens, the Secret Garden on Harrison St. This is a garden that used to grow food for the Stand and thanks to new volunteers wanting to make the space productive again and one neighbor who works there named Aaron we had our first harvest for the year from there, a bag of tasty greens to share. Another reason to be joyful is that history was made Thursday in San Francisco. 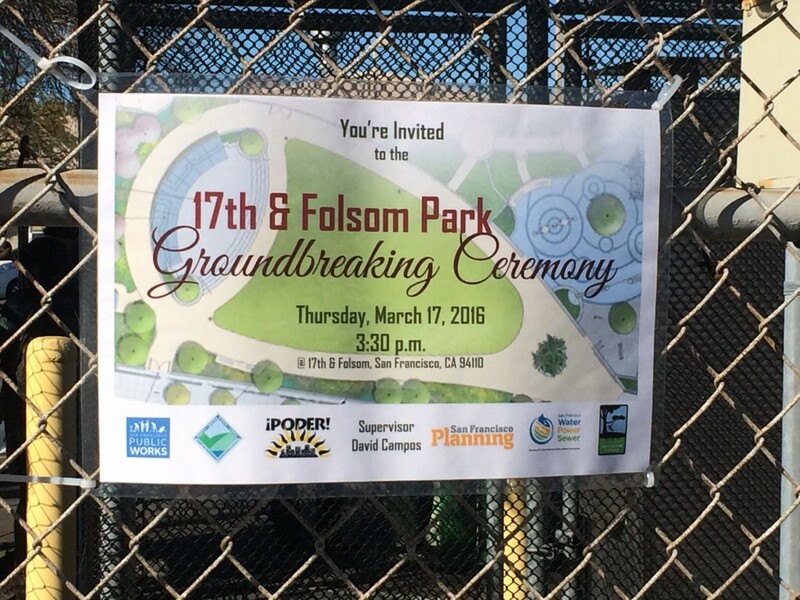 I went to a ground breaking ceremony for a new park that is gong to be built at 17th St. and Folsom Sts., just blocks away from where we give away local food.The thing that is so amazing is that after two years or more this park is going into construction and what is probably a first at least for me is that open space is being preserved…a parking lot is going to be dug up on a two acre lot and half will be a park and garden and half will be supposedly affordable housing (they said in another couple of years perhaps). 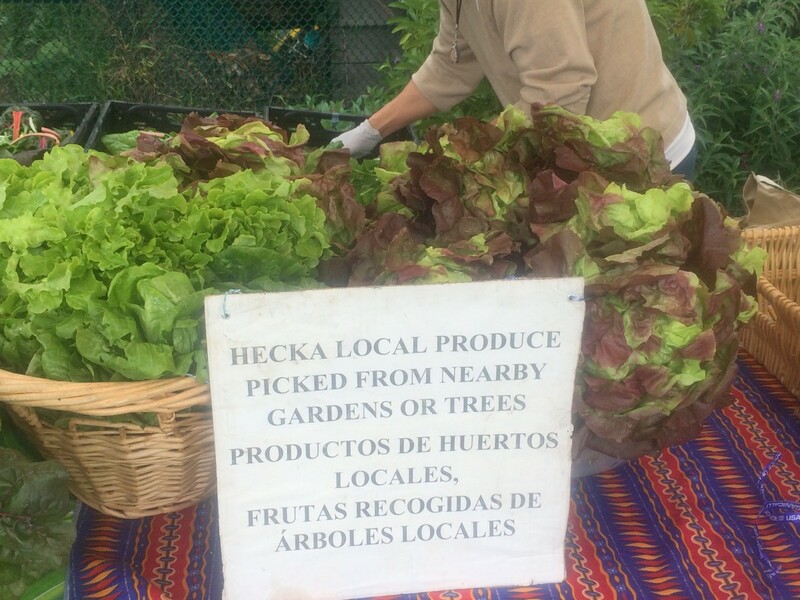 When I attended the meetings for neighbors to design the park there was agreement to plant fruit trees throughout the park and to run the garden communally like Alemany Farm rather than the community garden being individual private beds. This is all in the final design including a greenhouse, but I think there now needs to be neighbors pushing for Recreation and Park to stick with the plan and to start clarifying how the garden will be run. But so far things are looking good. I am especially eager to see more housing built next to this park for people who can’t afford current rates. 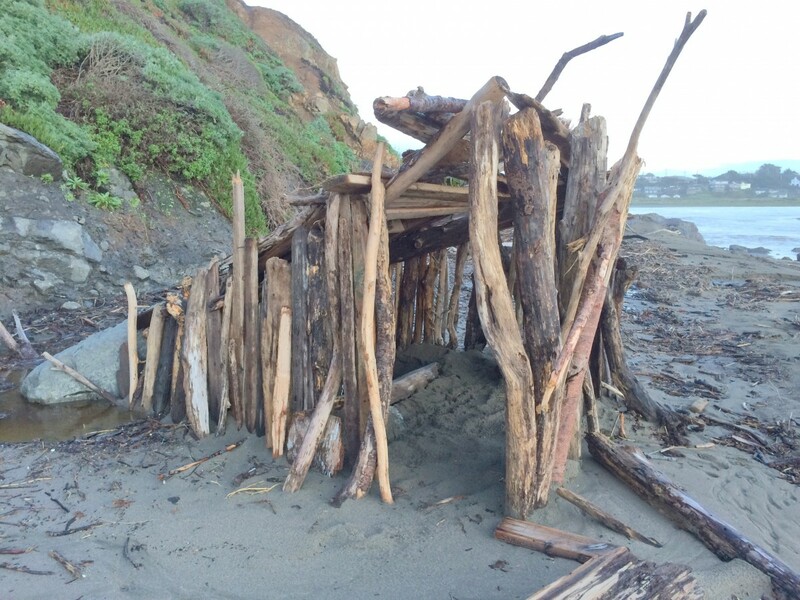 While on our trip north along the coast by Mendocino Angie came across a shack on the beach. We were thinking it was the only affordable place to live for miles…I wonder if someone will rent it out for an Air B&B. In these days of homeless sweeps and paving over of beautiful farm soil like on the Gil Track land across the bay we shouldn’t mourn but sing out for joy for the gift of life and love. And keep the struggle going for peace and justice. 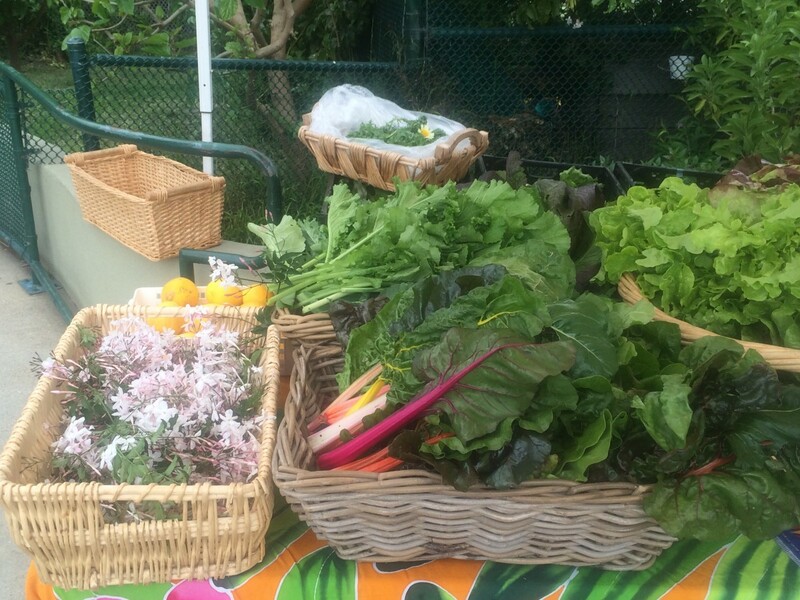 Every Sunday, bring your backyard abundance, share and mix and match, take what you need–all you need here to eat is to be hungry.